Let’s get right to this. 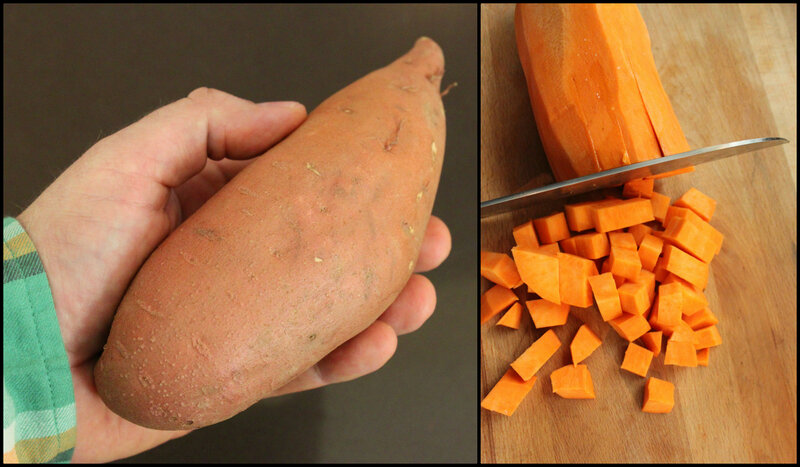 Start with a sweet potato about the size of your hand. Or my hand. Either way, you’ll want about 1 1/2 cups peeled and diced. 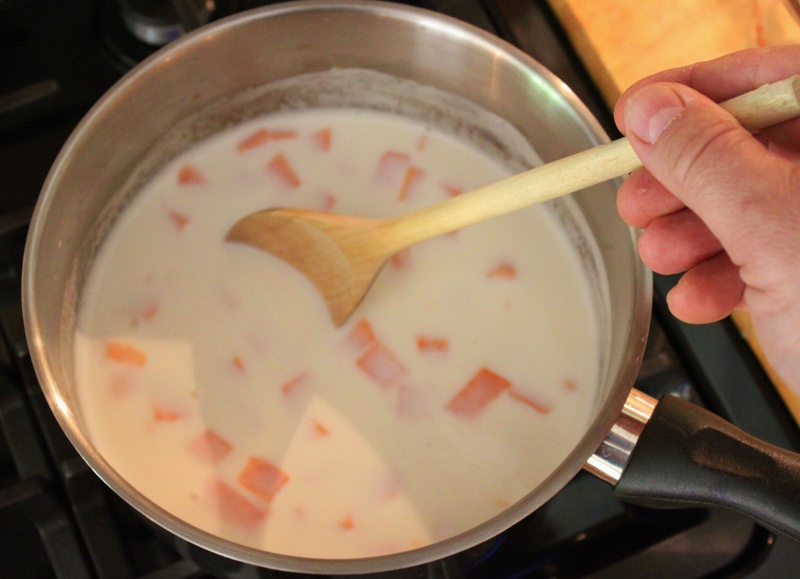 Add the diced sweet potato and the milk to a sauce pan. 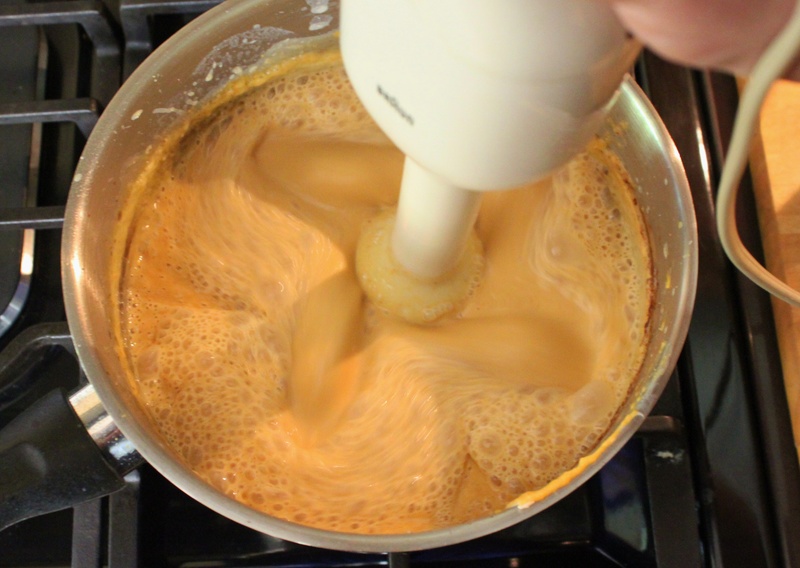 Bring the mixture to a boil then reduce the heat to simmer. Stir constantly, until the potato is completely cooked and falling apart. About 4-6 minutes depending on how finely you diced it. 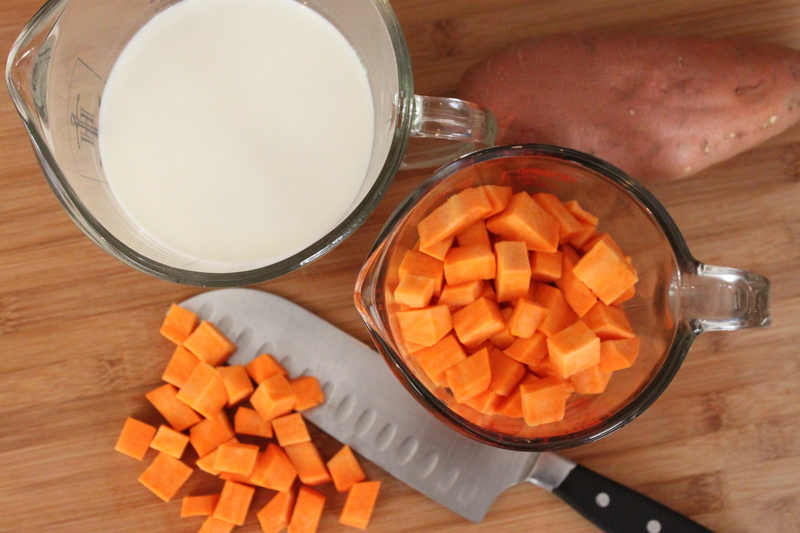 Once the potato is fully cooked, you’ll want to blend everything together. I’ve had this Braun hand mixer since the Reagan administration. No kidding. It’s that good. 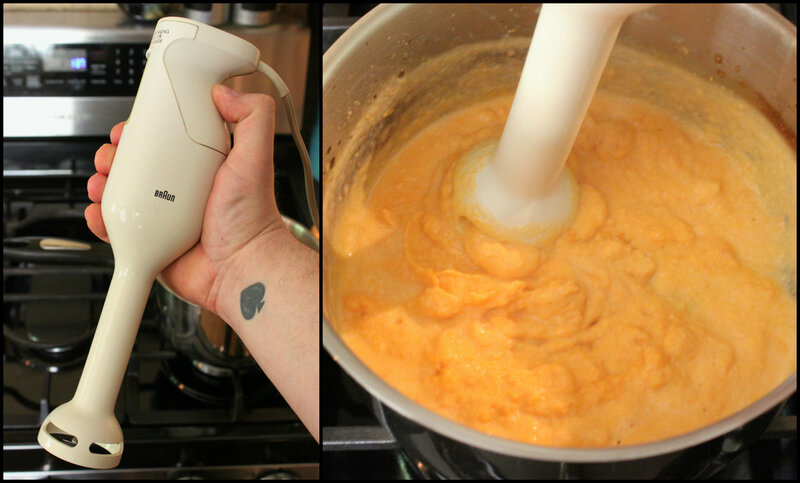 If you don’t have one, you can use a food processor. 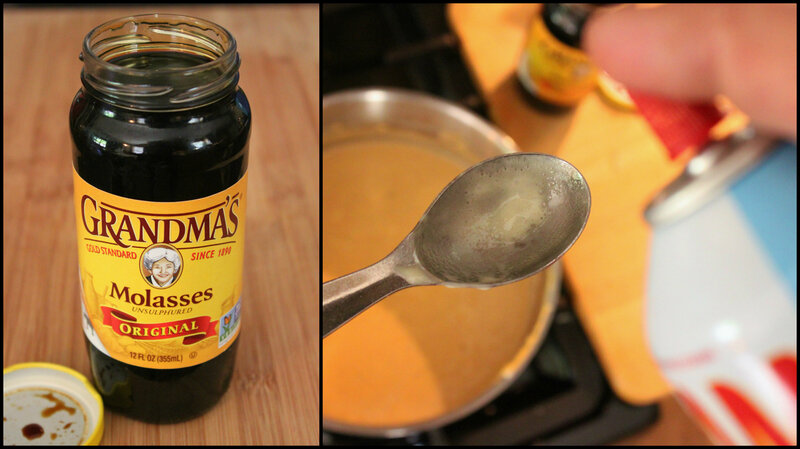 When the potato/milk mixture is lump-free, add the softened cream cheese, cream, sugars, salt, cinnamon, and molasses. 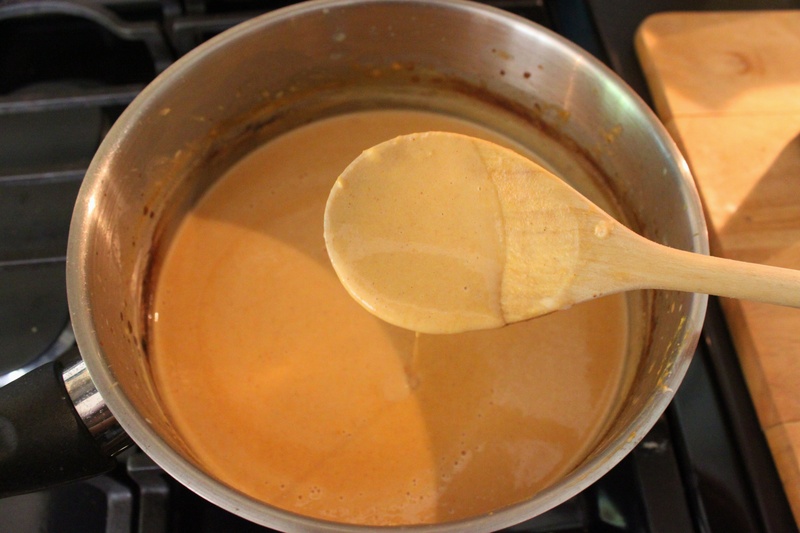 Bring the mixture back to a boil, stirring constantly again and scraping the sides of the pan. Then remove it from the heat and blend the hell out of it once more. Here’s the perfect consistency. Not too lumpy, and not too thin. 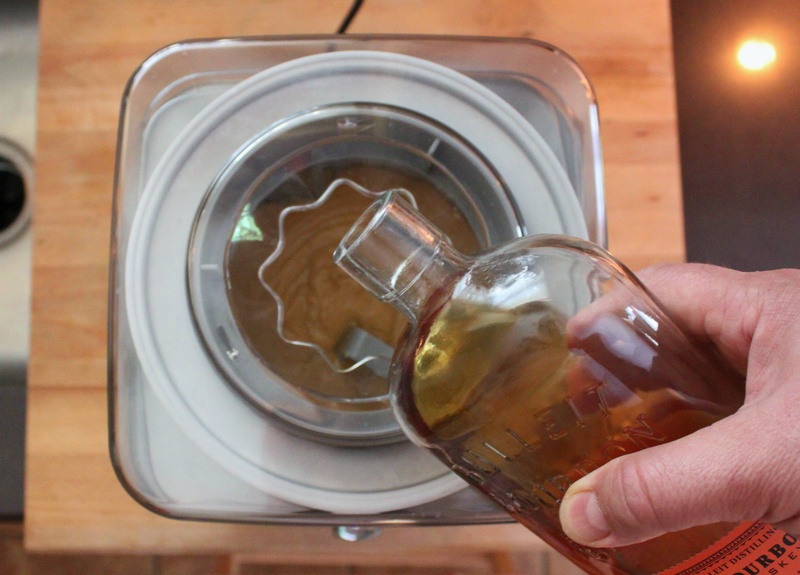 Set this mixture aside and let it cool completely before adding it to the ice cream maker. A few hours in the fridge is best. Takes about 25 minutes of churning away until the ice cream is the consistency of a Wendy’s Frosty. If y’all are keeping track, that’s use numero dos for our ice cream maker. It’s almost like it’s paying for itself at this point. 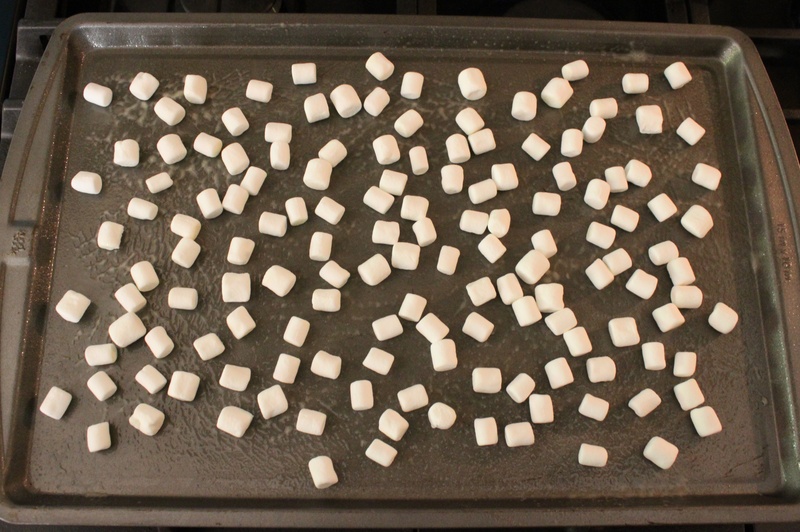 Now, to char the marshmallows. 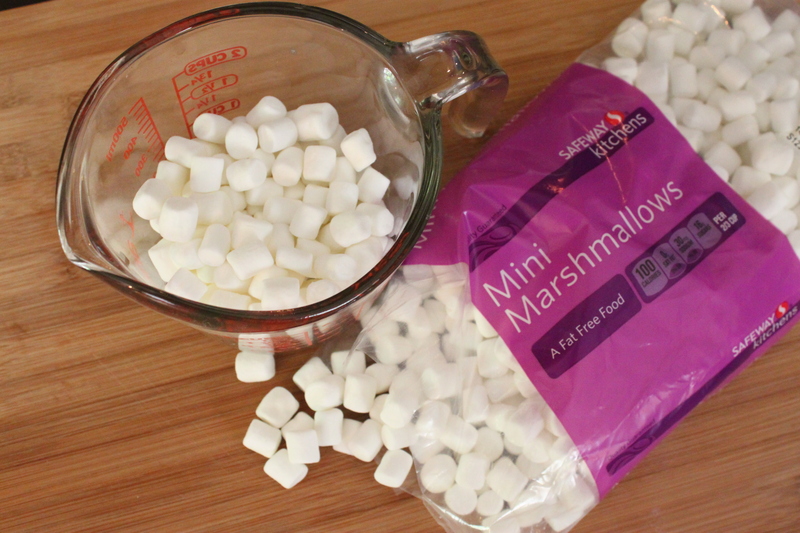 You’ll need about a cup of mini marshmallows. Maybe, slightly more than a cup. Ours tend to get eaten before they can make it into the icecream. ……and arrange the marshmallows so that none of them are touching. 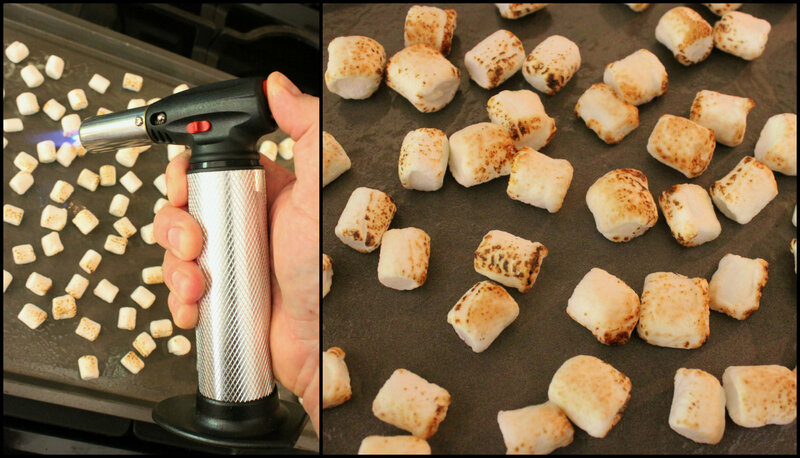 Use a hand-held butane kitchen torch to char the marshmallows. 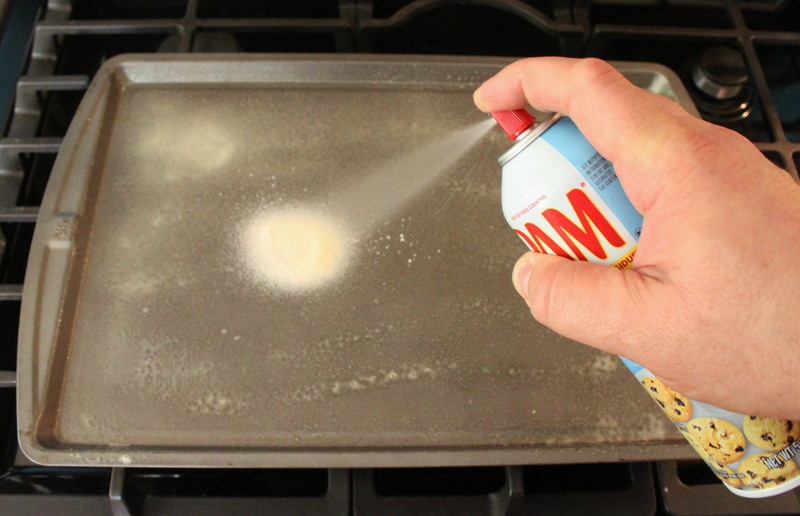 Let them cool, flip them over, and torch the other sides too. Don’t worry if a few catch on fire. Because they will. If I remember correctly from my childhood summers at camp…….they’re better that way anyway. Sprinkle your charred marshmallows on top of the churned ice cream in a Tupperware and stick it in the freezer for a few more hours. When it’s firm enough for your liking, scoop it into waffle cones, and enjoy. 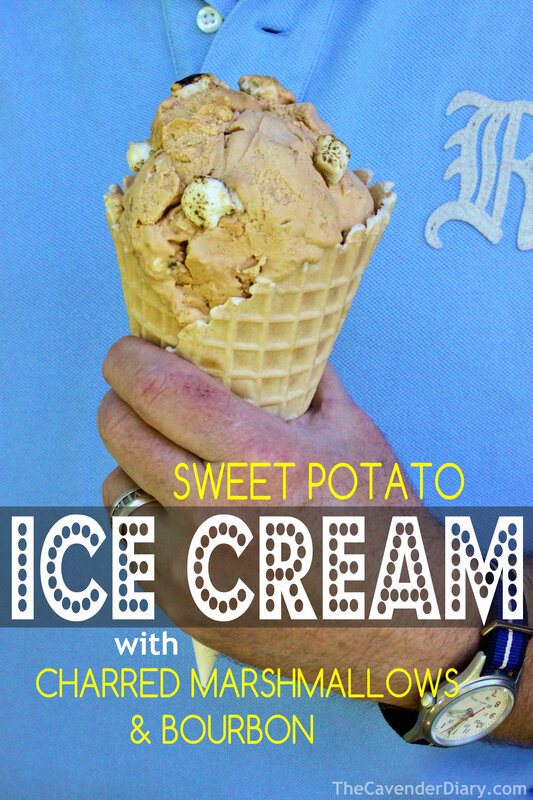 Sweet potato ice cream, Who knew? You better believe that you’re welcome. I’ve used mine twice….twice. I was going to quit my job and just make ice cream for a living when I bought it….Ask Jamie, he asks me if I still plan on quitting my job every time I pull the darn thing out of the cupboard. Which has been twice…..
Ha! That’s hilarious! I bought ours a few summers ago, when a friend served us some yummy homemade ice cream. Then promptly went on to never use it. In fact, I sent Norman the link yesterday and told him I’d make this and he replied “but we don’t have an ice cream maker.” Yes, we do!